It may only be mid October, but preparations for Christmas are already well underway at Chez Fehr. The electricity feeding my sewing room was out all weekend due to a bunf junction box (fixed by James’s dad yesterday, hurrah!) so I took the opportunity to do all the non-machine prep possible while that was out. On the left you should recognise the purple silk I ran home with last week for Pip’s silk pyjamas. With my sewing room out of commission, I traced Jalie 2686, cut out the silk, and did all the interfacing necessary so it’s ready to go. Jalie only include 3/8” seam allowance, so I’m thinking French seams are going to be really tedious to get right. Right now I’m thinking I’ll overlock the edges with woolly nylon and just sew the seams on my sewing machine as per normal. Has anyone done with with silk charmeuse before? Or have any better ideas that aren’t too fiddly (so no Hong Kong finishes!). In the back is James’s pile of “boy craft” and a mostly hidden gift for someone who reads this site (hi, mom! ), and not pictured are my beautiful jars of preserves. 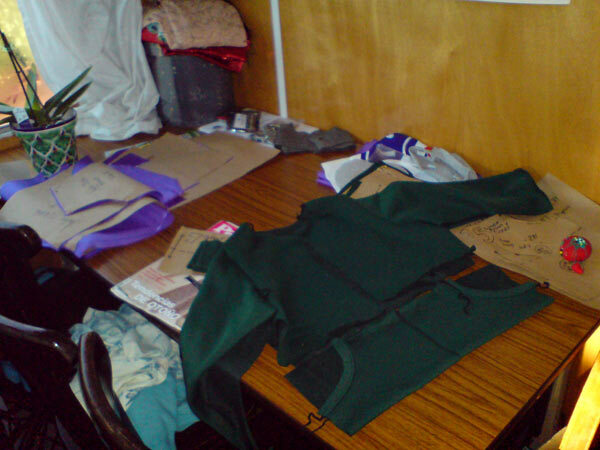 In the foreground is a sweatshirt for my nephew using the rest of the green sweatshirting from my haute hoodie. I hadn’t really seen the potential in this pattern at first because the photo in the magazine doesn’t really show it off, but I really took notice after reading Lyra’s review of it on Pattern Review. It’s technically for girls, but I think in a dark fabric it’s completely suitable for a 7 year old boy. 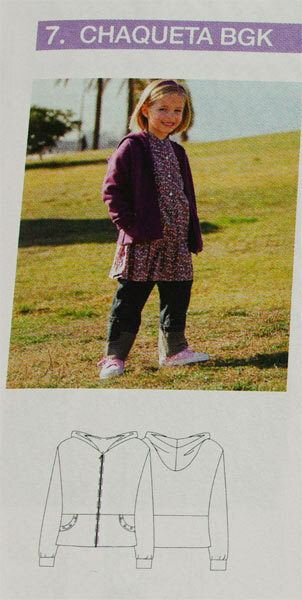 I was really drawn to the front pocket pouches, which are all sewn in one piece, folded at the hem. Since my overlocker was already set up from my own sweatshirt, I decided to make this one first and then change everything for Pip’s pyjamas afterwards. 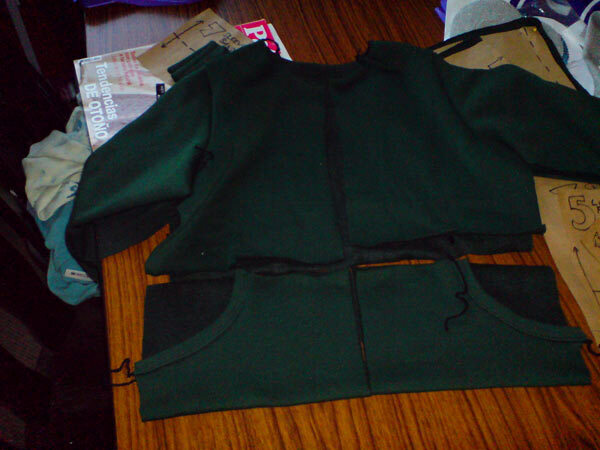 In the space of about 90 minutes last night I traced the pattern, cut the sweatshirting and ribbing, and assembled half of it already. So this really is a quickie number for any kids in your life! Separator image Posted in In Progress and tagged with kids, patrones, silk, xmas.